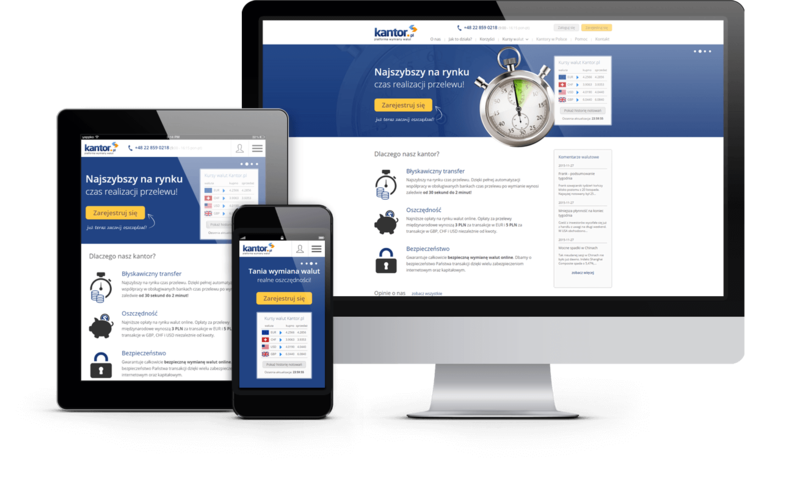 We have created Kantor.pl - an online currency exchange. Kantor.pl is a leading polish platform exchange, which is constantly gaining popularity, due to it’s exceptional offer. Within the project we have developed a system with following modules e.g. 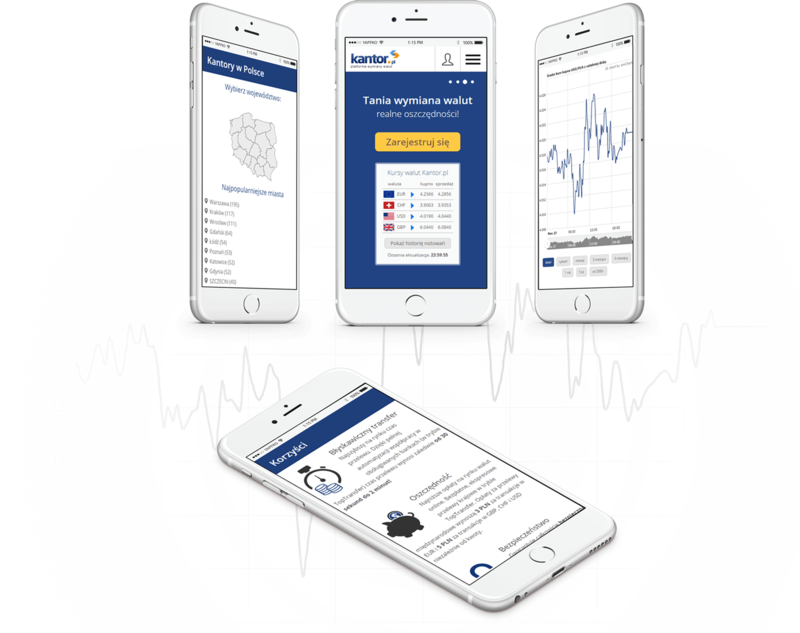 : online currency exchange, database of polish currency exchange offices, preview of real-time exchange rates, archiving of exchange rates, widgets, comments exchange and CMS. 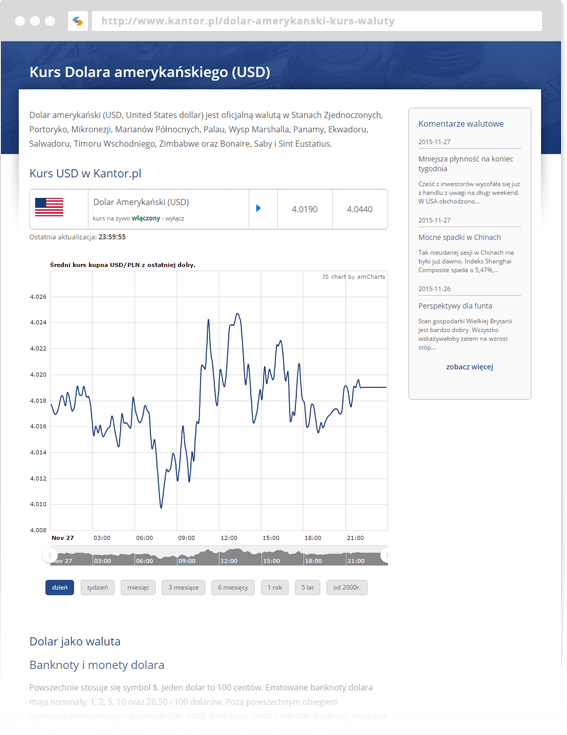 For the purpose of Kantor.pl system we have also designed a new, fully responsive transactional panel, that operates and support online currency exchange. A successful cooperation with Kantor.pl continues. We are a technological partner of the project. Apart from IT support and development, we are responsible for the marketing service of kantor.pl platform.